Experience teaches us that everything is a little more aesthetically pleasing after a few drinks. Whether it’s women or a Crunchwrap Supreme at 3am, alcohol has a funny way of delivering what the heart wants. That's what makes these Dallas bars true winners: they start out as 10s and stay there, no beer goggles required. It’s not too often that you’ll find a business that's marketing is all built into a Rolling Stones song, but The Joule has found the perfect way of incorporating the greatest philosopher, Mick Jagger, into its breath and bones. The Midnight Rambler’s signature craft cocktails all carry the music theme and find the perfect song titles to use as the right adjectives for the drinks. Whether you’re playing rock star or having a stiff 5 o’clock drink in your suit, the Midnight Rambler will welcome you and serenade you 'til last call. You know that scene in Beauty and the Beast where Belle is on that ladder sliding back and forth looking at books? Imagine that, but Belle is a bearded man and the wall of books is a wall of booze. Armoury D.E. 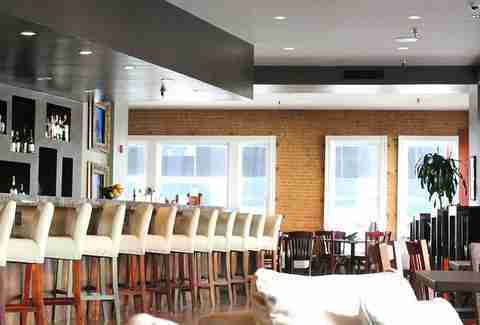 opened in July, but has a rustic comfort that feels like it’s well more seasoned. The best part is the fact that its kitchen is open until 2am and serves incredible Hungarian comfort foods. You’re probably familiar with that ungodly eyeball that sits in the middle of Downtown and is on everyone’s Instagram feed a couple of times a week. Well right next to it is one of the most beautiful bars that Downtown has to offer. After you leave Midnight Rambler, hop across the street and head up to The Woolworth. 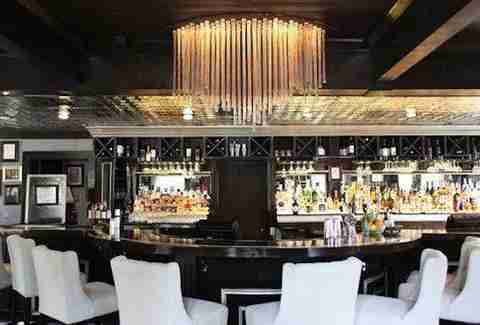 This large and elegant bar even has a small library with huge arm chairs to accompany you on your classy evening, or you could step out on the new terrace, have a great view of Downtown, and snap another picture of the eyeball. Dallas is well known for using infamy to its strength. While the youthful owners missed out on an opportunity to name their new addition to Bishop Arts after the ’04 Bonnie and Clyde, Knowles and Carter, Parker Barrows adds to Dallas’ growing interest in classic cocktails. Don't expect to get just a “vodka and soda” here. The bartenders are well versed in making sure they find out what you’re really wanting in a drink and delivering up just that. 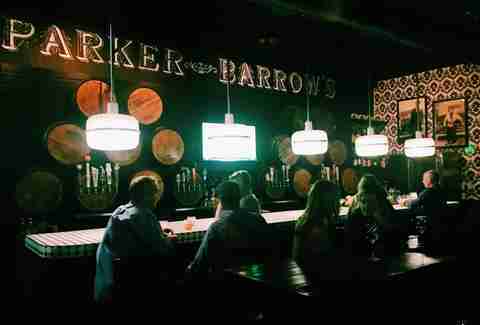 Even though the indoor seating space is small, Parker Barrows offers outdoor seating as well. Feel free to read the news articles posted around the bar about Bonnie and Clyde while you drink at their namesake. 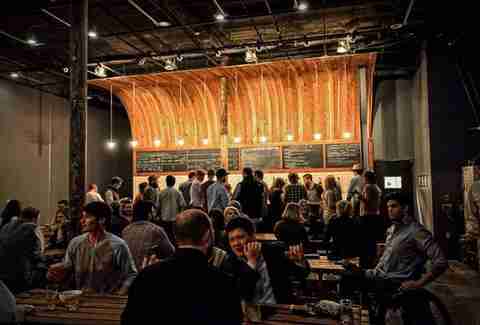 Small Brewpub’s atmosphere is anything but small. The interior is lined with eight large picnic tables, perfect for group outings or sitting with new friends. However, the visual component of seeing brewing equipment, bags of hops and barley, and a simplistic bar design allows little room for confusion or discomfort. Also, the kitchen is constantly pumping out five-star meals at three-star prices. 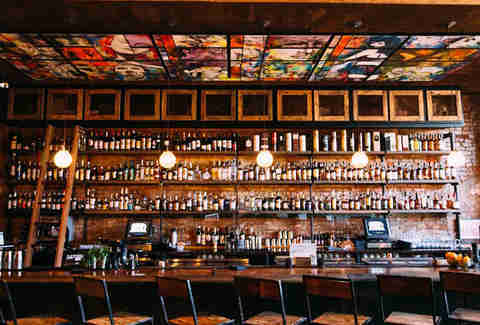 You’ll enjoy hitting the SODA Bar at the NYLO no matter what season of the year. The ambience is unprecedented. While it has great food and cocktails, its offerings in atmosphere is what sets it apart from the rest. Sitting outside, you can be near a fire pit in the winter or taking a dip in the infinity pool in the summer. 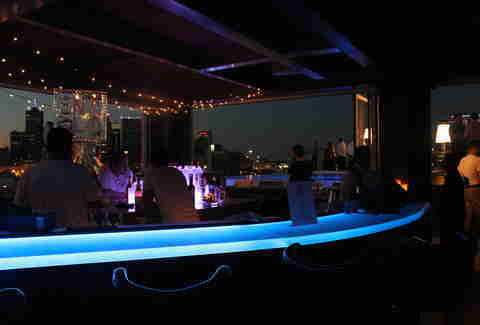 Plus, you’ll have the best view of Downtown Dallas in all its glory to watch the sunset or the neon lights fire up. If you aren’t too familiar with this word, don’t worry. Parliament is like the English version of Congress. I think? Anyways, if you happen to be in Uptown during happy hour, this is your best bet. Staple cocktails that typically have huge price points are cut in half, if not more, here. 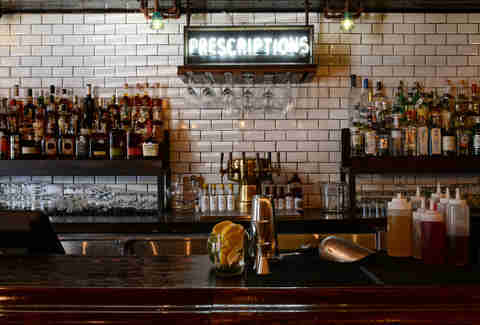 These aren’t your dive bar drinks, either. There’s a large wall lined with hundreds of sophisticated bottles, plus lighting and decor straight out of a Wes Anderson movie. Discretion is the name of the game at Atwater Alley. If you’re unfamiliar with this hidden gem, you aren’t alone. A blank door near Henry’s Majestic will take you to a whole new environment and different evening. While the place may only seat 10-15 people, the sense of exclusivity is enough to make you feel like part of the “in crowd.” Be sure to dress appropriately with pants and closed-toed shoes. This is the type of secret that we should be sharing with our friends, and maybe our second dates. Bowen House is exactly what we should all convince our parents to turn our childhood homes into. The house itself is a historic landmark, but the second that you step in, you’ll forget that you’re in a house. 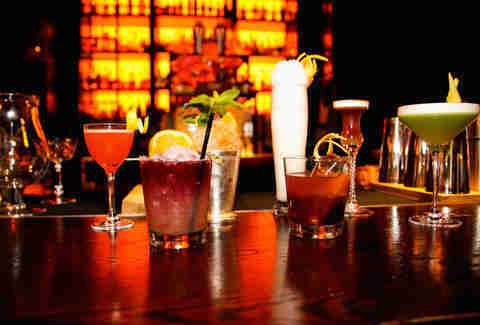 The bar offers craft cocktails made with the utmost care and precision as well as quality fare. There is plenty of cozy seating and ample natural light inside, but as fall approaches, its porch and patio seating are perfect for cooler nights. 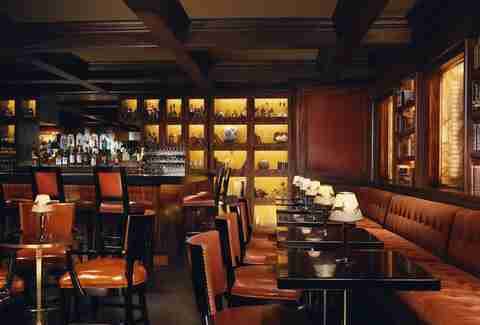 We’re not sure quite what it is about hotels having the most lavish and beautiful bars, but the bar at the Rosewood Mansion on Turtle Creek takes the cake. 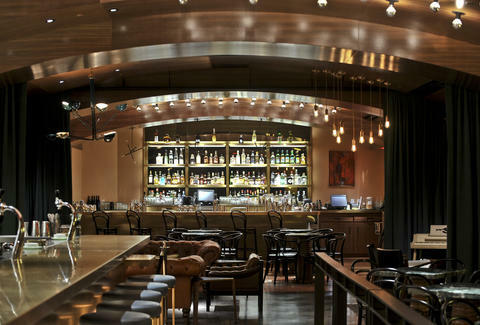 Cognac-colored seating and rich mahogany set the warmth of the atmosphere, but its seasonal cocktail list brings out the best in spirits. Lucas Buckels is a freelance writer and a tall drink of whiskey.